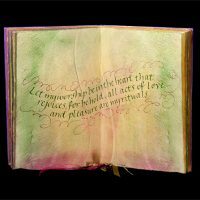 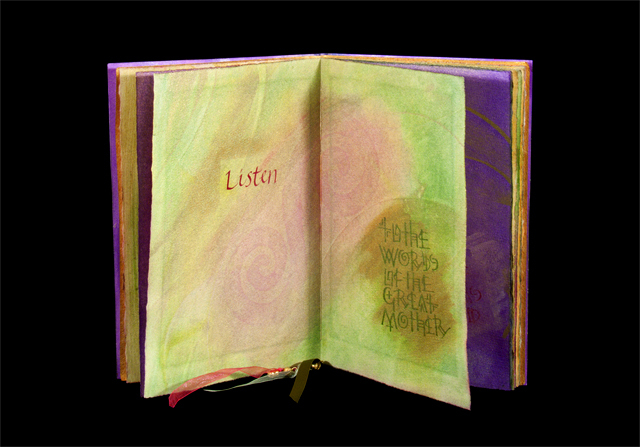 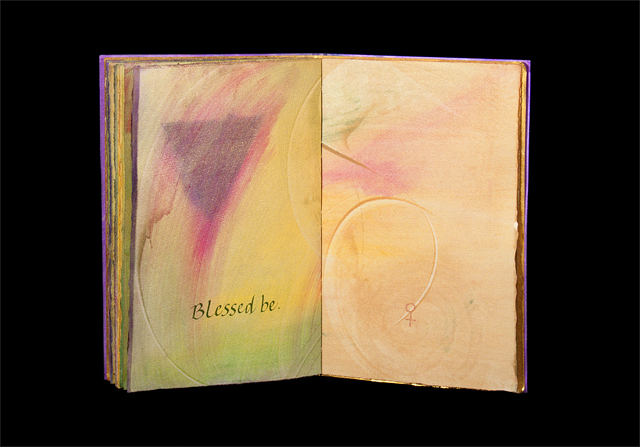 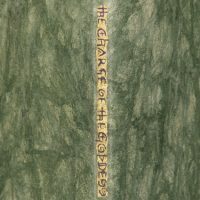 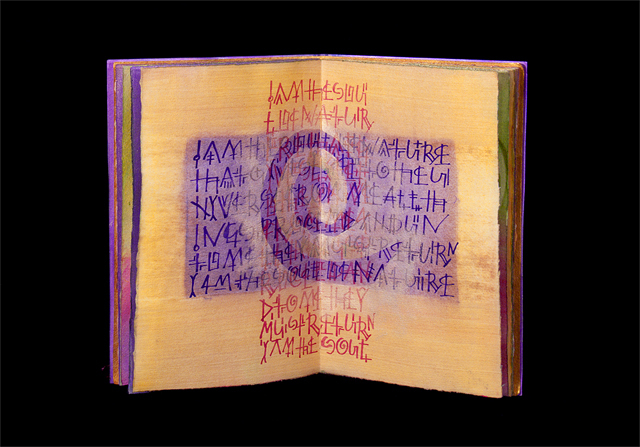 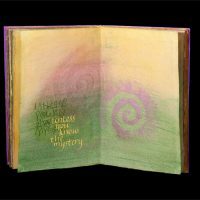 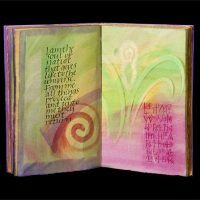 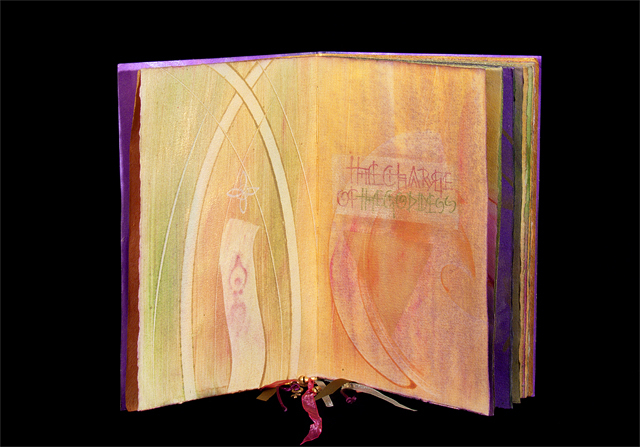 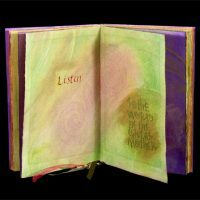 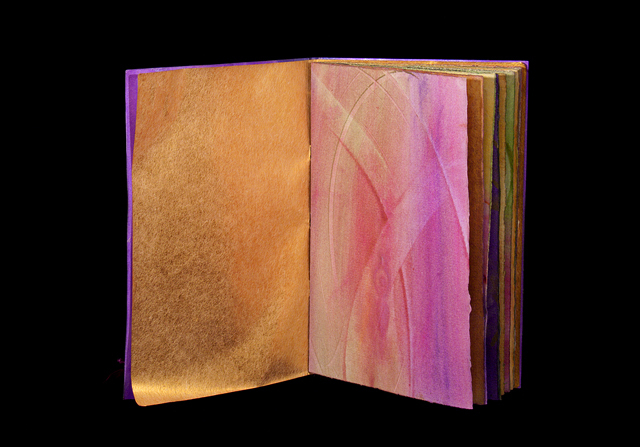 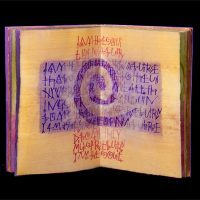 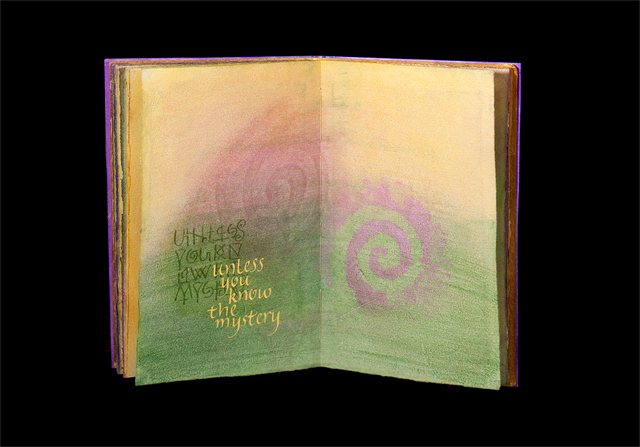 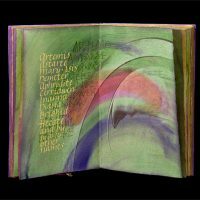 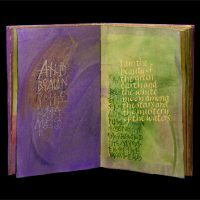 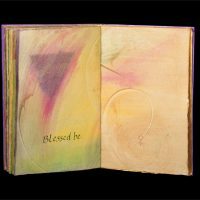 The pages were painted with pigmented wheat paste in the summer of 2002, with ocher, spring green, magenta and purple color, with Twinrocker gold powder added during the painting process, so all the pages shimmer. 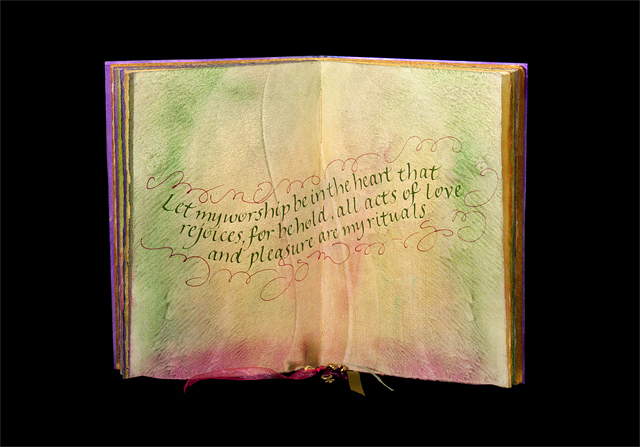 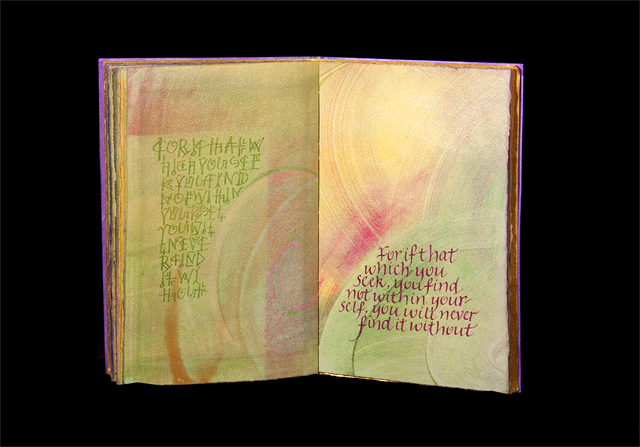 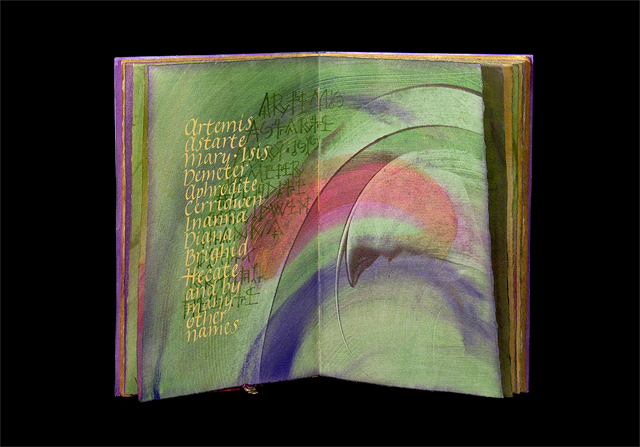 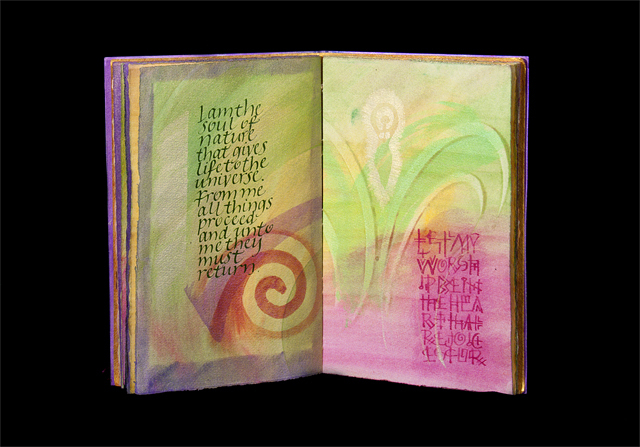 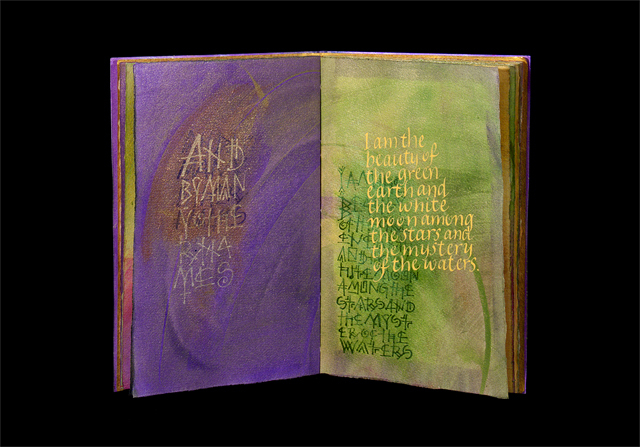 The lettering was then added in 2003 with folded and broad-edged pens using colored gouache. 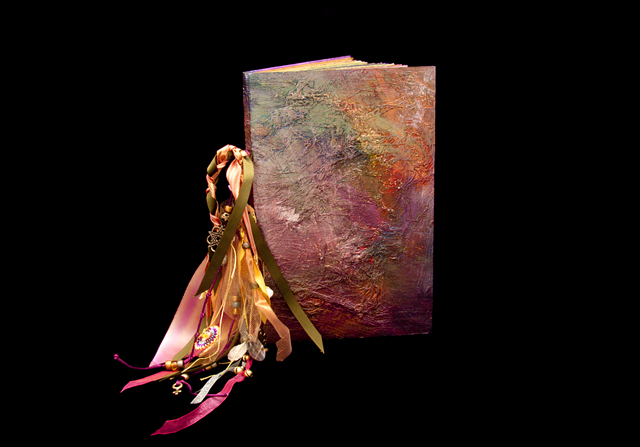 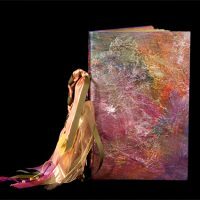 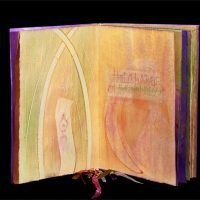 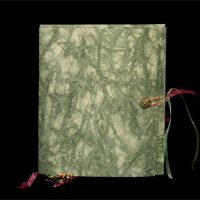 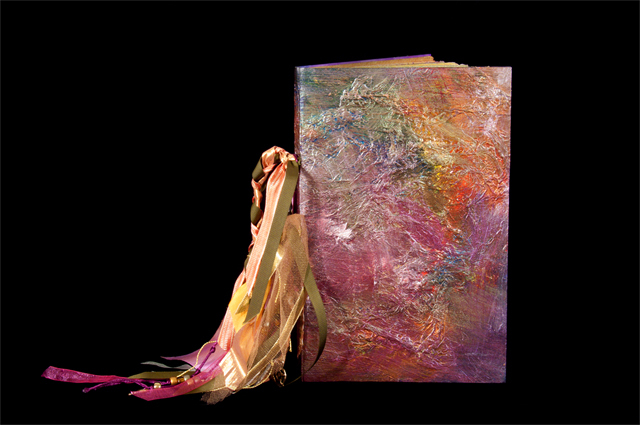 The book cover is made from a heavy watercolor paper built up with a crumpled thin Japanese tissue, then overlaid with acrylic colors and medium, to which sparkle of various kinds was added. 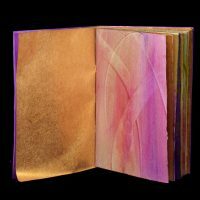 Endpapers are a shiny gold Japanese paper meant to be crumpled, but instead appears as a shining sheet leading into and out of the book. 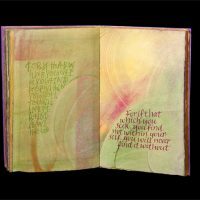 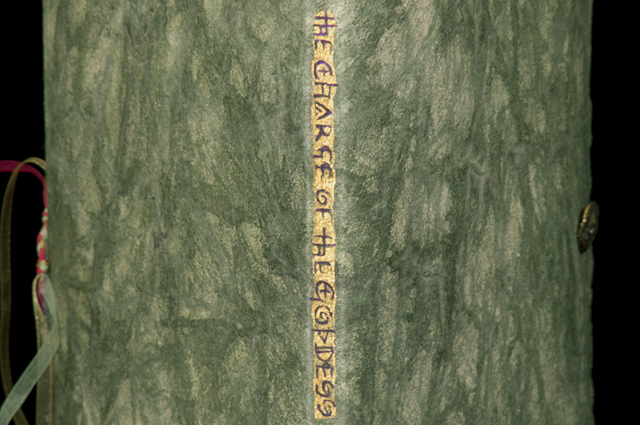 Methods used on the pages include pochoir (stencils) and frottage (rubbing over a stencil or charm to leave a ghost image), plus the marks left by tools in the wet pigmented paste. 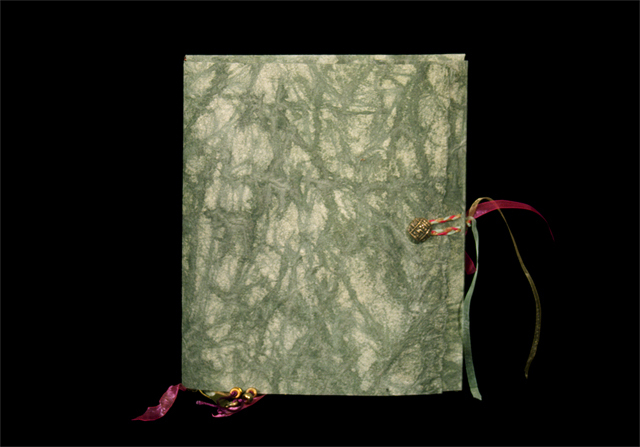 The text block is sewn on olive green grosgrain ribbon tapes which are then tied to the cover through slits The decorations on the spine of the book are actually not a structural part of the binding but were added on after the book was sewn. 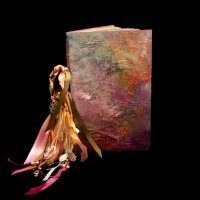 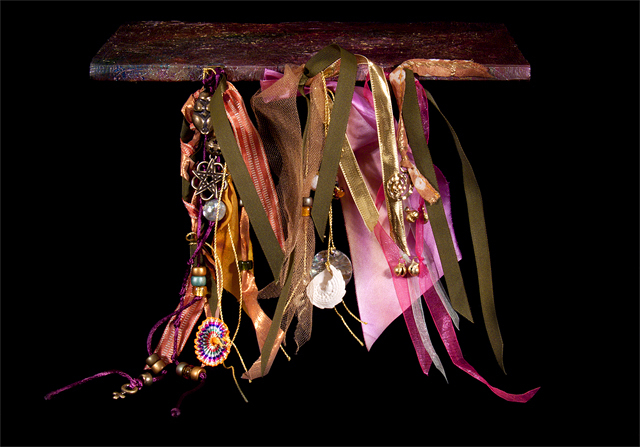 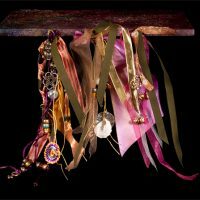 The bits and bobs were tied on or threaded through to make a full handful of bright ephemera while holding the book open in the hand for ceremony.